This is a collection of greeting cards sent to Stoney Creek on the occasion of the Centennial Celebrations of the Women's Institutes in Canada in 1997. Several of the cards feature hand-made elements such as paper quilling or quilting, and most include letters from different branches in the United Kingdom. This is a scrapbook-style history of the Lee house, including a genealogy of the Lee family. The book includes a history of each generation to reside in the home and details the process of transitioning the home into a museum. "My Trip to England and Scotland, 1965"
The Erland Lee Museum, opened to the public in 1972, is a white and green Gothic Revival heritage house containing two floors of original furnishings, with an emphasis on the Lee family in Saltfleet Township and the events of the 1897 founding of the Women's Institute. The accompanying red Carriage House is an integral part of the Museum, containing two floors of exhibits on the history of the Stoney Creek area and on the Women's Institutes organization. James Lee brought his Loyalist family to Saltfleet Township, Upper Canada, in 1792. John Lee, eldes son of James and Hannah Lee, first constructed the Lee home in 1808 after receiving land from his wife's (Mary Moore) family. John and Mary's son, Abram Lee, became a prominent Saltfleet businessman and farmer in the 1860s, and made two additions to the original log cabin. The current home dates from the 1873 addition. Six generations of the Lee family lived in the home from 1808 until 1971. Erland Lee owned the house from 1890 to 1926. He was very involved within the community as an executive member of the Farmer's Institutes and as a Saltfleet Township Clerk for two decades. A liberal man, Erland worked to advance many progressive causes in Wentworth County. Recognizing the need for rural women to be educated, particularly in the area of domestic sciences, Erland Lee invited Adelaide Hoodless to speak at the Ladies' Night of the Saltfleet Farmer's Institute in February, 1897. Drawing upon the inspirational ideas of Mrs. Hoodless, and urged on by his wife, Janet (Chisholm) Lee, Erland Lee used his family's influence in municipal government and society to assist in the formation of the world's first rural women's organization, the Women's Institutes. In 1897, Janet Lee took on an organizational role in the Institute. She was Hamilton's first Kindergarten teacher and, like Erland, was also very strongly community-minded. The focal point of the Site's history is the dining room of the home where the Constitution and Bylaws of the first Women's Institute were hand-penned by Janet Lee, with assistance from Erland Lee and local politicians E.D. Smith and F.M. Carpenter. Much of the executive work of the first Women's Institute was done in the Lee home (Edgemont Farm), with assistance from E.D. Smith and his wife, Christina (Armstrong) Smith, who was the first President of the Women's Institute. Erland and Janet's daughter, Alice (Lee) Freel, became the first woman in Saltfleet Township to serve in the municipal government, starting in 1926 and serving for several years. 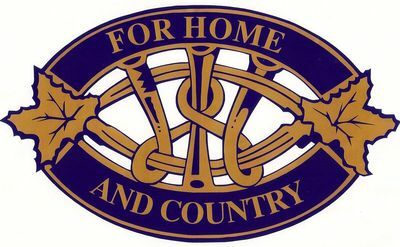 Erland and Janet's grandchildren preserved the family legacy when they sold the property to the Federated Women's Institutes of Ontario (FWIO) in 1972. The Home and Carriage House were retained as an important memorial to the organization's beginnings. 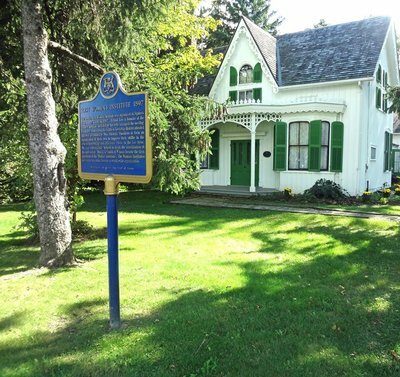 The Museum also preserves the social history of the former Saltfleet Township, including such smaller centres as Winona, Mount Albion, and Tapleytown, and commemorates the important influence of the Lee family on the area's development from wilderness to agricultural town to suburban city.